Pre-Menstrual Phase Diet & Training? What does the menstrual cycle have to do with fat loss? In addition to having reproductive function, estrogen and progesterone have an impact on fuel storage and fuel use. In other words, these two hormones can determine what type of fuel is burned (sugar versus fat). This is mainly because they can mildly influence two primary fuel regulating hormones, insulin and cortisol. And, if you think for a minute, this makes sense. The reproductive capacity of a women and the viability of her offspring depends on the ability to store resources. During the follicular phase the egg is not yet released, but after ovulation the possibility of an egg being fertilized means the body shifts into more of fat storing physiology and becomes more reliant on sugar burning. So, very simply the follicular phase is a time of relatively better fat burning, while the luteal phase shifts the body into more sugar burning (carbs). Estrogen directly opposes the action of insulin on the major fat storing enzyme LPL essentially making the body less prone to fat storage and more prone to fat release. Estrogen is also anti-cortisol (as is progesterone). This means women may be able to better tolerate a little more starch and burn greater proportions of fat during exercise with less consequences of stress hormone production. This is a great time to focus more on steady state longer duration moderate intensity cardiovascular exercise (since women burn higher proportions of fat at all exercise intensities during this phase). Progesterone opposes the action of estrogen and may make the body more reactive to starch/sugar (i.e. more insulin resistant). So, based on these metabolic changes women would want to watch their starch/sugar intake during the luteal phase. Progesterone, like estrogen, is anti-cortisol as well. 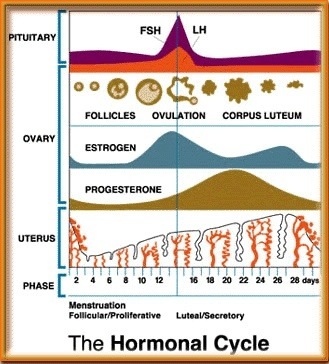 With progesterone relatively higher than estrogen in the luteal phase, the female metabolism becomes more of a “sugar burner” and more reminiscent of the male physiology with enhanced glycogen storage. The afterburn of exercise MAY be accentuated in the luteal phase because of this, allowing women to take advantage of this unique aspect of exercise. This is a great opportunity to use higher intensity short duration metabolic conditioning and/or interval training. That’s our Tabata training sessions. Luteal phase increases both energy intake and energy expenditure in women as well as increases cravings for sweet and fatty foods. The cravings are likely a result of the falling estrogen and progesterone levels premenstrually, both of which have receptors sites in the brain and influence both GABA, serotonin, and dopamine. I suggest the recipe below of unsweetened cocoa powder & Branch Chain Amino Acids will raise neurotransmitters (cocoa raises serotonin and dopamine & BCAA increase GABA). Ironically chocolate, most especially dark chocolate, is a proven craving in women at this time. Cocoa powder allows a calorie free treatment specific to this issue. The luteal phase is more of a catabolic time for muscle tissue making long-duration cardio less beneficial and higher protein diets more prudent. 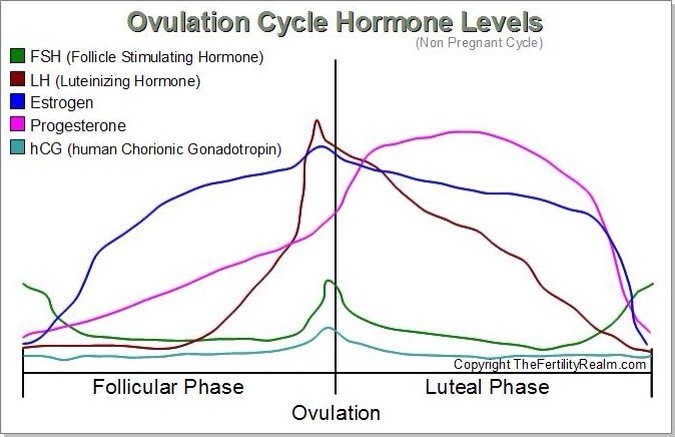 There is some evidence the luteal phase has a greater EPOC and afterburn effect associated with it. Studies suggest that women should adjust their training schedule and food choices during this phase of their cycle to take advantage of the natural hormone changes that occur. 20:40:40 or 10:45:45 macronutrient intake. You will notice that carbohydrates are lower than a normal diet, protein increased a little perhaps and fats increased. 4-5 days per week metabolic conditioning , mixed weight & cardio interval training, the kind of Metabolic rest based and Tabata sessions I include in my indoor Fitcamps. Daily leisure walking (as much as able) this style of walking slow and relaxed and aimed at reducing stress including cortisol. This is removed from the training schedule completely. No treadmill, rowers or ellipticals or any other firm of long duration training. Watch out for the next post covering the first phase ( days 1-14) of the menstrual cycle, and notes for post menopause too! Eat Clean, Train Smart, Expect Results.